Season 33 Grand Finals this Sunday! We have the Grand Finals coming up this Sunday, 9th April, at the Joondalup Sports Association! We were shocked to hear just recently about the untimely passing of our great friend and Team WAPL member, Bob Streatfeild. 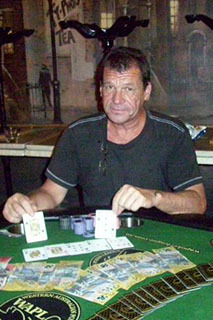 Bob was a stalwart regular at our Woodbridge events, where he was highly regarded by all players and staff. We were lucky enough to have had Bob join us on one of our Team WAPL trips up to Macau, where he not only had a great time and partied hard with us all, he final tabled the main event, making dozens of great friends along the way! 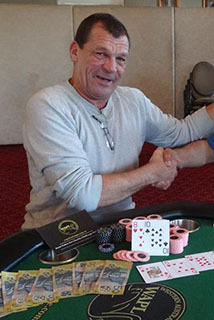 On behalf of us and all our staff who had the absolute pleasure of knowing and hosting Bob at the many WAPL events he played in, and from those players who were great friends with him, RIP mate. 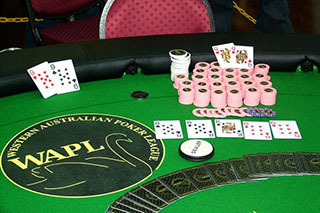 Back in 2006, when WAPL started the pub poker scene in Western Australia, we knew poker was going to be big. We didn't expect that now, nearly 11 years later, we would still be running great events for our (now many) members, and bringing new and exciting changes for our players. All the way back in Season 1, we had the help from life member Buck to put together a masterpiece, the WAPL Grand Final Table. Fully camera inlaid, this beast was used to record hole cards and was produced into Grand Final DVDs for our members to relive the experience! 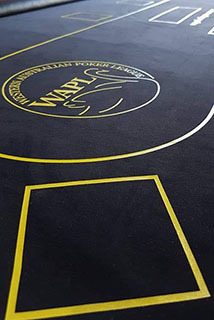 Fast forward 10 years, and we are pleased to announce the imminent arrival of our reincarnation of this piece of WAPL and WA Poker history, in our custom designed and built WAPL Live Table! This table is the whole package. Complete card identification, camera mounted, realtime card video output card display, including percentage chances to win and outs, high definition recording and live (or delayed) stream ready, it's the real deal, and it's about to launch! Also, just quietly, if you happened to read all the way to the end of this news, the table is having a soft trial launch today, Tuesday 4th April, at Joondalup Sports Association. Though it might be too late for you to get in on the action on the table itself, if you're interested, get in touch with Jason (jason@wapokerleague.com.au) for more info on playing at the launch party, or come down from 6pm-midnight to check out the table in action!